The Atom Lite can be folded in a matter of seconds. 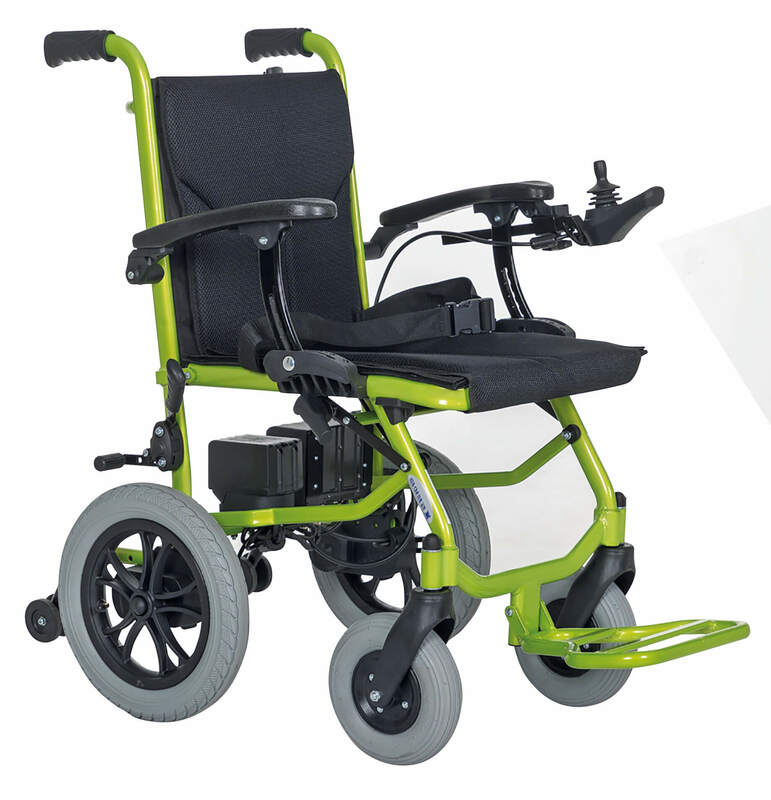 Perfect for days out and shopping trips, it really is one of the lightest powerchairs on the market. Price excluding VAT.(Incl. VAT £1,914) *VAT Relief available on this product. Indoors or outside, the new Atom Lite has exceptional performance and manoeuvrability to get you where you want to go. At first glance, you’ll notice that the Atom Lite is extremely compact but it is also made using durable materials. The foldaway armrests help when transferring in and out of the chair. It’s also a handy feature to allow access under desks and tables without the need of any complicated adjustments. Folding the Atom Lite couldn’t be easier. It can be done in one fluid motion by pressing the bar on the back and folding the chair. With the powerchair weighing in at 37 lbs, you’ll be hard pressed to find anything lighter. Due to its lightweight qualities, the Atom Lite is the perfect travelling companion. It’s portable enough to fit in your car boot, take on a coach or train, and the lithium battery means you can take it on a plane. It has a speed of up to 4 mph and a maximum user weight of 15.7 stone (100 kg).